There are two things everyone should look for in a good set top box: ease of use and versatility. A set top box is terrible if the menus are a horror to navigate and you can’t just plunk down after dinner and watch a movie. But it’s also terrible if it can’t actually play the media you want it to play when you want it to play it. Thanks to Kodi’s arrival on the Xbox One this morning, the Xbox One X and Xbox One S are now the most versatile set-top boxes available. This is the box you want if you’re looking to play any kind of media from any kind of source. It isn’t just the inclusion of Kodi that makes the Xbox One so versatile, but it’s the final piece of the puzzle. Kodi is a Swiss Army Knife-like media player that actually spun out of an open-source project on the original Xbox way back in 2002. Kodi, which was formerly called XBMC, allows you to access media on remote drives, making it useful for people with a huge library of old ripped DVDs and home movies. (It’s also great for torrenting pirates.) Yet Kodi’s real power is now found in its add-ons and enormous add-on repository. These add-ons mean you can get important apps on systems they might not normally be found on, like Sony’s PS Vue on the Xbox One, or YouTube on the Amazon Fire. That’s useful for when big companies start slap-fighting, resulting in them arbitrarily removing service from a set-top box. Companies like Amazon and Google and Apple can have their fights while you can continue consuming your content how you want to consume it. It’s the final piece the Xbox One X and Xbox One S needed to be the most powerful set top boxes currently available. 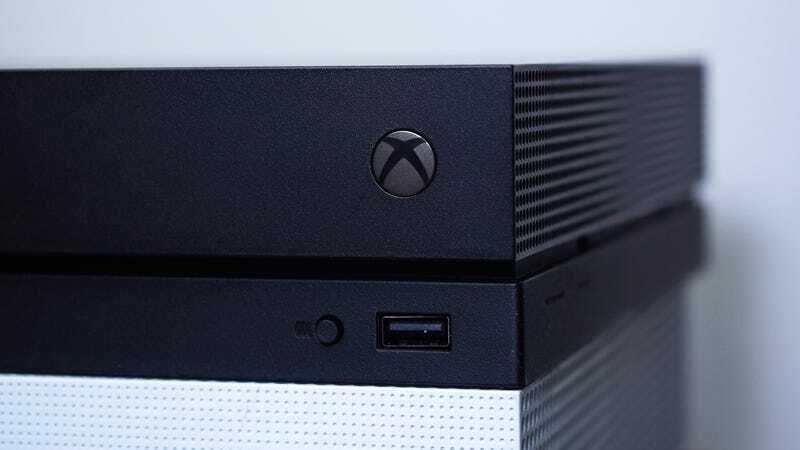 That’s because, in addition to Kodi and the myriad of other apps like Netflix and Amazon Prime, the two newer Xbox One consoles are also capable of play Ultra HD Blu-Rays—something no other set-top box can do—and the Xbox One consoles are the only set-top boxes that can decode encrypted channels from your cable provider. This means you can use the Xbox One in lieu of an actual cable box or DVR, dropping the obnoxious rental fee you normally have to pay to providers like Comcast and Charter. Like Kodi, the Xbox One is now truly a Swiss Army Knife of content consumption. If you need to be able to play any type of media at any time, this is the only choice.